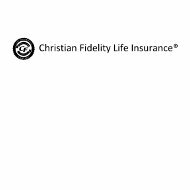 The Christian Fidelity Health Insurance Company review is a review of the Christian Fidelity Life Insurance Company. The Christian Fidelity Life Insurance Company is a member of the Oxford Group. The Christian Fidelity Life Insurance Company has received a B++ (Good) rating from the A. M. Best Company. Search for the best health insurance rates your area has to offer today with our free online tool. Just enter your zip code to begin your search now! The Christian Fidelity Life Insurance Company was founded in 1954. When the Christian Fidelity Life Insurance Company first began is mainly offered life insurance products in the states of Missouri and Texas. The Christian Fidelity Life Insurance Company expanded its product line to include Medicare specific supplemental insurance in 1977. In 2000, the Christian Fidelity Life Insurance Company became a fully owned subsidiary of the Oxford Life Insurance Company. The Christian Fidelity Life Insurance Company offers two main types of insurance products. These two lines of insurance are Medicare supplement insurance coverage and life insurance. The Medicare supplement insurance offered by the Christian Fidelity Life Insurance Company helps cover some of the medical costs that are not always covered by Medicare. Some examples of these expenses include extended hospital care, skilled nursing facility care, Medicare Part A deductibles, Medicare Part A copay, ambulance services, physicians’ services, physical therapy, hospital outpatient services, speech therapy, hospital outpatient supplies, and emergency health care outside of the United States. The Christian Fidelity Life Insurance Company offers a very specific type of specialty life insurance. This life insurance policy is an Assurance final expense whole life insurance policy. This type of life insurance policy helps the policyholder’s beneficiaries pay for the funeral and other costs after the policyholder passes on. This policy is available to people between 50 and 85 years of age. The policyholder can purchase between $5,000 and $30,000 in coverage with rates that will never increase for the length of the policy. As long as the premiums are paid on time, the coverage amount will never decrease and the insurer cannot cancel the policy. This type of insurance policy will develop a cash value over time and the policyholder can choose to pay the premiums annually, semiannually, quarterly, or monthly. The premium rate is determined by the policyholder’s age when they are issued the policy. The policyholder is not required to have a medical exam, but they must fill out a medical questionnaire and will be given an approval decision during their first interview. The policyholder chooses the beneficiary who will receive the direct tax free death benefit when they pass on. The Christian Fidelity Life Insurance Company is a member of the Oxford Group. The Oxford Group has three other subsidiaries. These three subsidiaries are the Dallas General Life Insurance Company, the North American Insurance Company, and the Oxford Life Insurance Company. All of these Oxford Group subsidiaries have received a B++ (Good) financial strength rating from the A. M. Best Company. The A. M. Best Company is currently the leading insurance industry financial strength ratings provider in the United States. Use our free online tool today to compare the health insurance rates of the Christian Fidelity Life Insurance Company to the other health insurance providers where you live. Enter your zip code above to begin now! My mom is now 90 years old and is entering a nursing home. She has paid approximately $300 per mo since 1996 for a nursing home policy that is so outdated, it is of no use whatsoever. The nursing home is telling me that someone should have contacted my mom about this and not continued to take her premium if the insurance policy was of no worth in today’s current economy. I am getting ready to see some of what you talking about. I was to get several dollars back in March of 2014. Now no one wants to talk about my money. I started paying in 1997. I had a good agent and friend that has since passed away. 12 years a ago it was (I thought) a good deal at the time. But now it seems no one wants talk. The company no longer sells this kind of policy. I think it is time for a lawyer. Awful customer service. The same lady answers the phone and will not help or give no information. She very rude and unhelpful. The policy is always paid but the policy is no value.